Thank you for interest in our campaign! The ASU Nonprofit Leadership Alliance Student Association (NLASA) Development Team is working hard to involve our generous donors, alumni, and community members who continue to develop and build our program. 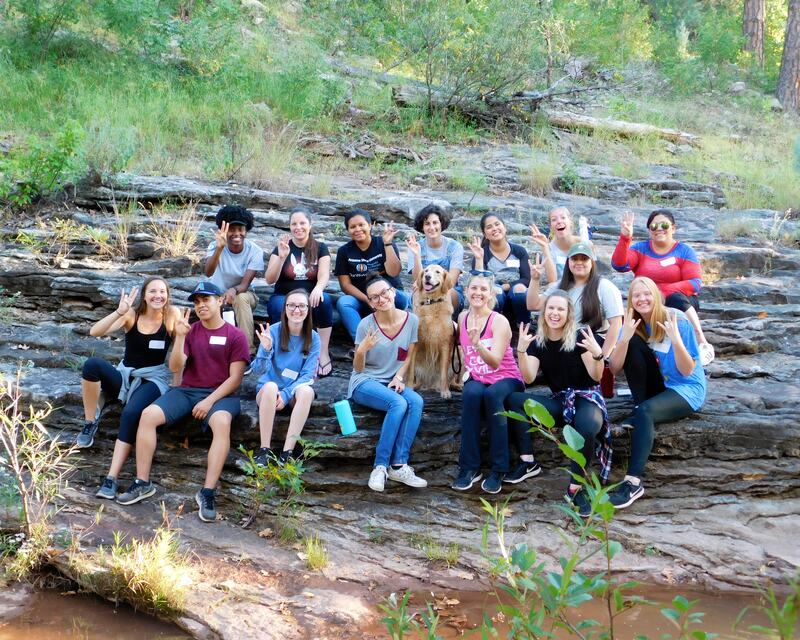 The mission of the Nonprofit Leadership Alliance, through the Lodestar Center for Philanthropy and Nonprofit Innovation at ASU, is to strengthen the nonprofit sector with a talented and prepared workforce. By establishing this Community Partner of the Year Award and accompanying Scholarship, we can dive deeper into the community and secure more networking, volunteering, and internship opportunities. In addition, to giving NLA students the chance to assist a local organization and act as a catalyst for change in our own community. With your guidance and support, you have helped us grow and shape into what NLASA is today. The Community Partner of the Year Program is an opportunity to grow a more robust relationship with one of our many partner organizations. This partnership between the NLASA and the greater community allows NLA students to gain real-life experience through service and professional development at the selected community partner organization. The NLASA Community Partner of the Year is a thank you to the organization for continued support over the years. With an overwhelming amount of wonderful organizations to choose from in the Valley, the choice will be difficult. Upon completion of a simple application, three nominees will be selected from the pool, and the winner announced during our annual senior banquet on April 22nd. NLA students and future Certified Nonprofit Professionals are already making a difference in their communities! The Community Invested Scholarship is an opportunity for the Community Partner of the Year will use these funds to support specifically NLA students so they can focus on gaining experience without the burden of worrying about educational costs. With your generous donation, you are directly impacting a student’s career as a future changemaker and building the capacity for a partner organization. Would you be willing to be an advocate for our community, through your investment in the future of the nonprofit sector? Below are different levels of sponsorship for our new scholarship program. Any amount will help support our students, who will go on to change the world as many of you have. Thank you for your continual support over the years and for helping our students transform into young professionals! We have 26 students enrolled in our core CNP course!